NOTE: Airfare to and from this retreat is not included. Flights from JAX to BTV start around $300 round trip. The retreat is 4 nights. Retreaters are encouraged to stay North before or after the retreat and explore. For example, visit Canada, New York, or Maine and plan their trip in advance accordingly. 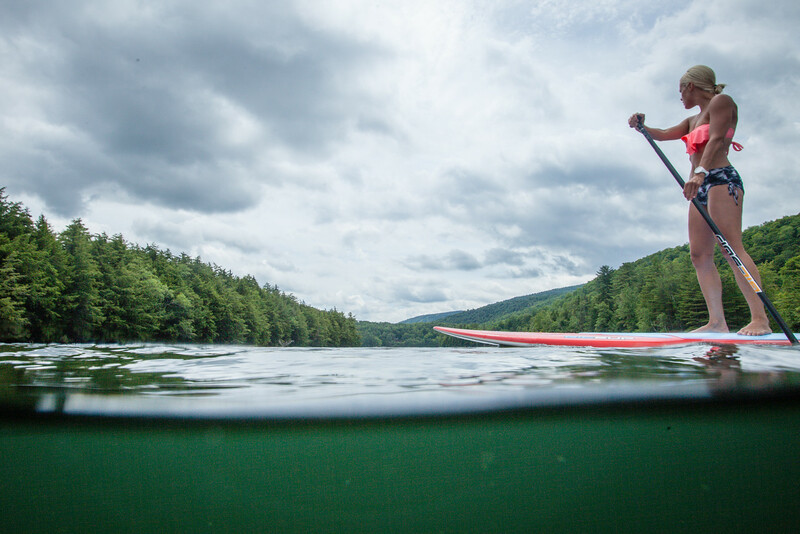 Located in Killington, Vermont at Mountain Meadows Lodge on Kent Lake, surrounded by National Forest and State Park lands, and tucked away in a quiet corner of this small New England town, we invite you to join us on this heart centering retreat. The property, with its three-story private lodge and adjacent farmhouse, boasts a sauna, outdoor hot-tub, renovated bar room, rustic living room with enormous fireplace and huge picture window overlooking the lake. Imagine yourself waking up to a lakefront view with fresh mountain air surrounded by Mother Nature and hiking trails. Each morning will begin with circling for a centering meditation followed by a rejuvenating yoga practice ranging from Recharge Yoga to Yoga Therapy. A buffet style breakfast will be served after. Retreaters have the rest of the day to relax and play. Excursions are offered daily during the retreat. Retreaters have the option to partake in these excursions included in the cost of the retreat or to venture off on their own exploring. Excursions include Horseback riding up a mountaintop on a nature trail and SUP Yoga on the lake. Restorative Yoga will be offered in the late afternoon prior to dinner. Dinners will be a relaxed plated affair followed by venturing down to the water to watch the sun set over the lake. Bonfires will be offered every evening with the option to roast marshmallows or star gaze. Serious hikers and recreational walkers will be excited by the opportunities to explore the beautiful surroundings. The property is crossed by the Appalachian Trail, leading to mountain outlooks and Thundering Falls in Killington. Thundering Falls is thought to be one of the 6 tallest waterfalls in Vermont, cascading over 100 feet. For those wishing to make the most of the beautiful Kent Lake and explore the small islands nearby, Mountain Meadows Lodge can provide equipment for rowing, canoeing and kayaking. The lake also offers fantastic opportunities for fishing. Other activities offered at the lodge include croquet, badminton and volleyball, as well as billiards, table tennis and table football in the games room. Mountain biking, horseback riding and golf can also be found nearby. Eating and drinking at this retreat is pleasurable and relaxed. Breakfast, including fresh fruit, juices, yogurts, cereals, pancakes, waffles, eggs, and much more. Dinner includes an assorted menu of seasonal gourmet meals. Please notify the retreat leaders with any food allergies or restrictions to better serve you. Popcorn popping in the living room and marshmallow roasts by the lake provides lots of fun for all retreat goers. There is also a refrigerator and microwave oven available to guests at all times. On the grounds are plenty of farm animals for everyone to enjoy with the option to bring a bucket of food to feed the animals. The barn and the pasture are among some of the other popular attractions available on this retreat. The lodge has a number of rescue animals ranging from sheep and curious goats to chickens, ducks and a peacock. In addition to these friendly animals, there’s Alex, the Shetland pony. This retreat, at Mountain Meadows Lodge, offers something for everyone, with its relaxed ambience, beautiful setting, charming accommodation, friendly staff and extensive amenities. It is a place where each is free to pursue their own idea of perfect holidays, with countless ways to enjoy the spectacular surroundings of a magical spot. Dori Thomsen, is a 500 hour level Experienced Yoga Instructor and Co-Founder of Soluna Yoga + Spa with her husband, Christian. They own and operate Soluna Yoga+Spa in Jacksonville, Florida. Dori offers a variety of classes at their studio. She first entered a yoga class over a decade ago, while a freshman in college, but found her true calling to teach yoga while living in Costa Rica. Dori gained the 200-hr Registered Yoga Teacher certification in 2010 at an ashram in Guatemala, under the guidance of her teacher Paula Tursi of Reflections Yoga. Christian & Dori lived in Costa Rica for 5 years before returning back to the States. While living there, Dori continued her studies and earned a certificate in Prenatal Yoga, Restorative Yoga, and Stand Up Paddleboard Yoga, and Christian connected to his passion of being a songwriter+singer, dabbled in real estate, and offered golf lessons on the side. Dori is considered a pioneer of SUP Yoga in Central America, while living and teaching there and has now returned to Jacksonville with her family. In February of 2016, she completed her 500-hr advanced training, humbly earning the certificate of Yoga Acharya (Yoga Master) with Bhooma Chaitanaya and Swami Yogeshananda Saraswati at Aarsha Yoga Vidya Peetham in Kerala, India. Dori is passionate about teaching Meditation, Pranayama, and all styles of yoga and incorporates this free form expression of yoga in her classes, while encouraging her students to connect to the root and explore the practice. Christian and Dori welcomed a baby girl, Olive, into this world in 2013 and consider her to be their greatest teacher. Olive continually teaches them how to love unconditionally and how to create authentic connection through communication, movement and breath. The doors to Soluna Yoga + Spa opened in December of 2014 and was recently voted #1 Yoga Studio by Jacksonville Magazine! When Christian+Dori are not at Soluna, they enjoy spending time traveling with their family, planting seeds in their garden, and taking time to press pause. Please contact us 904-680-7344 or solunayogaspa@gmail.com for any inquiries or to claim your spot! Arrival date: Retreaters will need to fly into the Burlington International Airport (BTV) or Rutland, VT. If the retreater lives nearby or chooses to fly into an alternative airport, transportation to the lake house/retreat location will not be included. Retreaters will need to contact Dori & Christian with their travel plans for this retreat. Departure date: Retreaters have the option to depart with the group or travel on their own.